We are made of star stuff, clever ones, and there's a map for your own personal galaxy. The arts of medicinal astrology and herbalism have developed as cooperative and blended studies over the centuries. Ancient and modern herbalists have looked to both root and star to discover the source of strengths and imbalances, of all sorts that have appeared within the humyn body. In recent years, there has been a renewed interest in astroherbology within the modern community of traditional western herbalists with a focus on inclusivity and queering dominant paradigms (learn more!) - also known as working magick against the sorcery of overcultures worldwide. Magick on, wild ones. 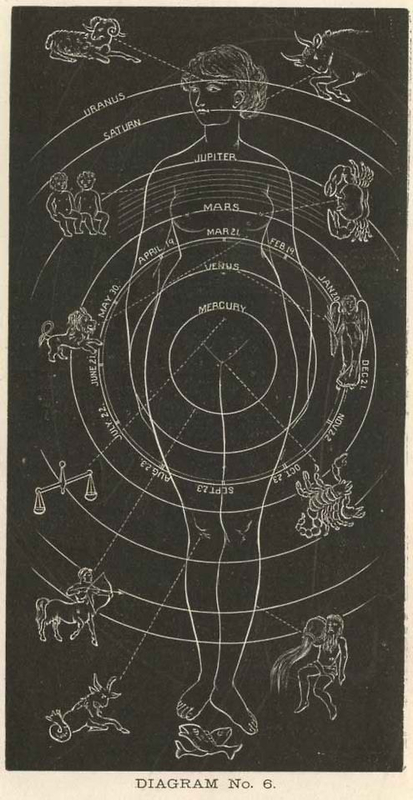 What I love about astroherbology, is that we have a star map for our bodies that helps us to grasp the maxim of As Above, So Below. As a kid who tranced out on the playground swingset and taught her friends how to trance, too, so that they could all go to AstroWorld together (a place I visited in my dreams that could be accessed through certain portals hidden in the sky and earth), the idea of my body being a starmap is rather important in my own personal (nerdery) spiritual philosophy. Now, you don't have to be a believer in AstroWorld (I mean, what a perfect example of a child of the 80s naming things), to find use out of the astrological body map. I should note here, too, that when I speak of the humyn body I am referring to the entirety of a person's experience in the world including physical, mental, emotional, and spiritual realities. Our heritage as traditional western herbalists includes the natal or birth chart, which corresponds with the Astrological Body Map, one of our oldest diagnostic tools. While some modern herbalists may squirm at the mention of astrology still being used today, I think it is inspiring to know that our ancestors realized that the scope of the human experience was far greater than their physical form. In some ways, astrology was one of the earliest codified explorations of consciousness and the art continues to require us to look beyond our immediate understanding of reality to a much larger galaxy of possibility. So what can we do with an Astrological Body Map? To illustrate the zodiac's interaction with our body. To understand out natal chart in a whole new way! To map out imbalances of the body, giving us a visual tool to use for healing work. The Astrological Body Map that I've created below highlights the predominant areas of the zodiac within the body including dominant colors of each sign as well as listing out the primary body systems that each sign has guardianship over. You'll notice Aries, which is the first sign of the zodiac, rests at the top of the body with all the other signs descending in sequence, finally ending with Pisces. Already we have an easy way to begin to remember the correspondences of the stars to our selves. In further explorations of the Astrological Body Map, I'll be posting a tutorial for you to explore your natal chart in relation to your own body's starmap. In the meantime, I encourage you to start experimenting with the information given and asking yourself questions about the whats and whys of the Astrological Body Map. What is the relationship between Gemini and the lungs (hint: think about breath and story)? Or how might the classic Virgo personality tie the intestines up in knots? What are descriptions of the signs that I've heard that match up to map (think about Aries being described as "headstrong")? Comment below with your insights, observations, and questions about the Astrological Body Map. Does you have health strengths or weaknesses, for example, that correspond with the body part guarded by your Sun sign?